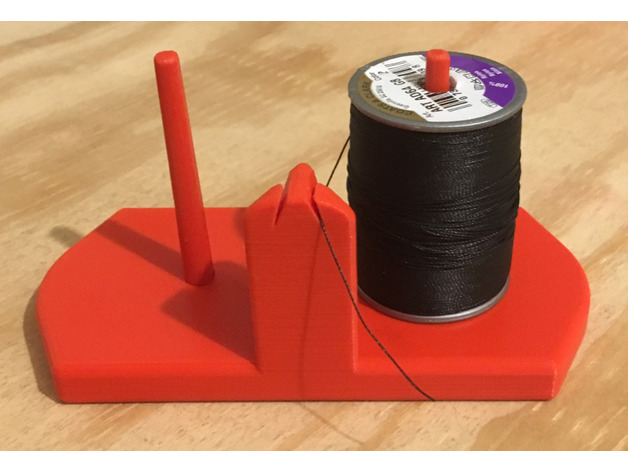 3D printed Sewing Thread Holder « Adafruit Industries – Makers, hackers, artists, designers and engineers! I need one of these! MajorOCD shared this project on Thingiverse! I made this for my wife to hold her thread spools. The posts are printed separate and on their side for strength. Just slide them up from the bottom and push them in place. Depending on your printer’s tolerances, you may have to hammer them in place or use glue if they are too loose. Mine pushed very firmly in place with no need for glue.